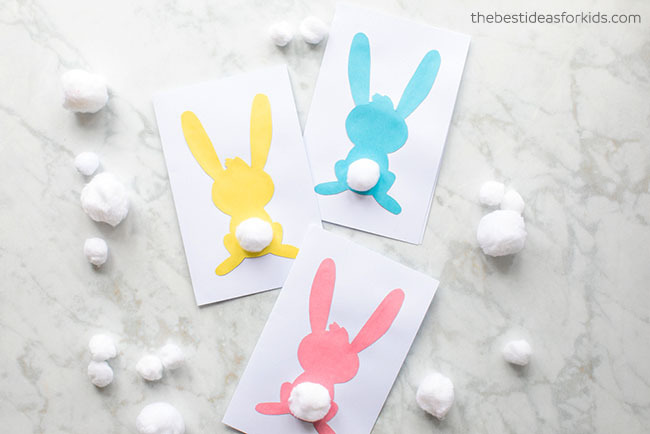 With Easter just around the corner, this Easter bunny card is really simple and easy for kids to make! There are two different designs you can choose from and both come with a free printable template. 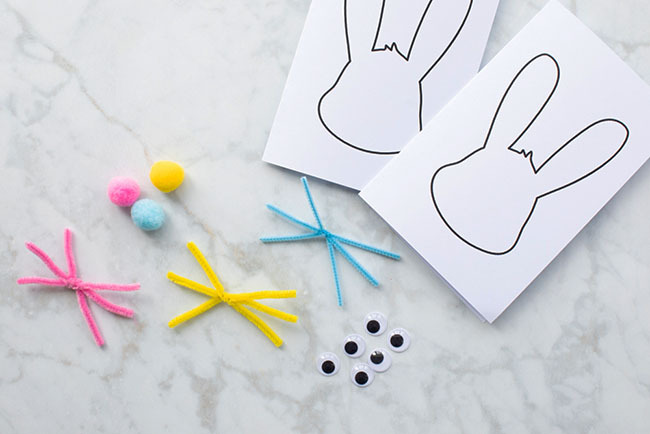 Kids will love putting these Easter cards together. You can even just color the templates and draw a bunny face on yourself! 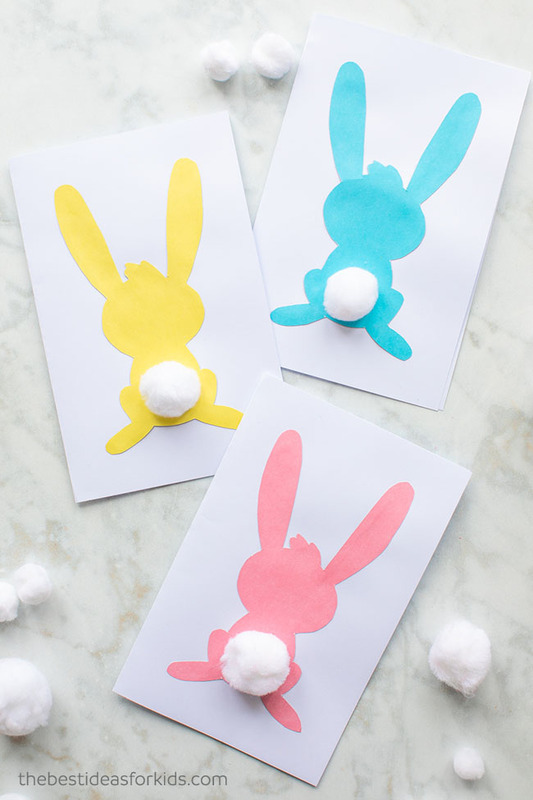 We love how easy and simple these handmade Easter bunny cards are to make! 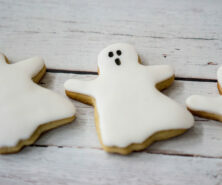 You’ll only need to grab a few supplies to make these. 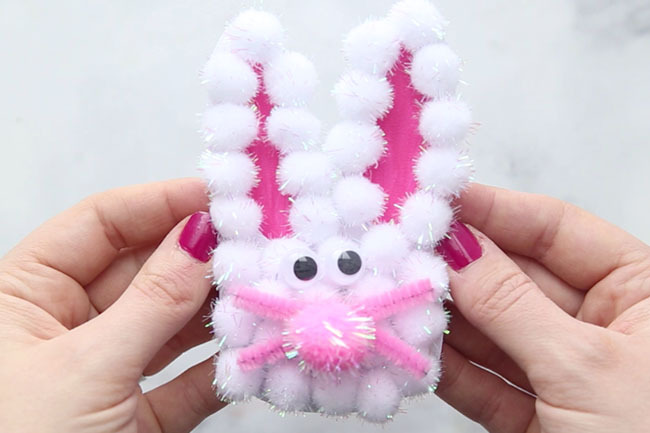 These are really easy for kids to make and they’ll love customizing their own bunnies. We made these cards really simple to make with two free printable templates. You can get the templates emailed to you as a free gift for signing up for our newsletter on the form with the preview of the bunny card template. 1. First print out the Easter bunny card template (you can get the template emailed to you as a free gift for signing up to our newsletter on the form with the preview of the Easter bunny card template). You can also free-hand draw the shapes for the cards too. Print the template off on white cardstock. 2. Twist three pipe cleaners around each other to form the whiskers. 3. 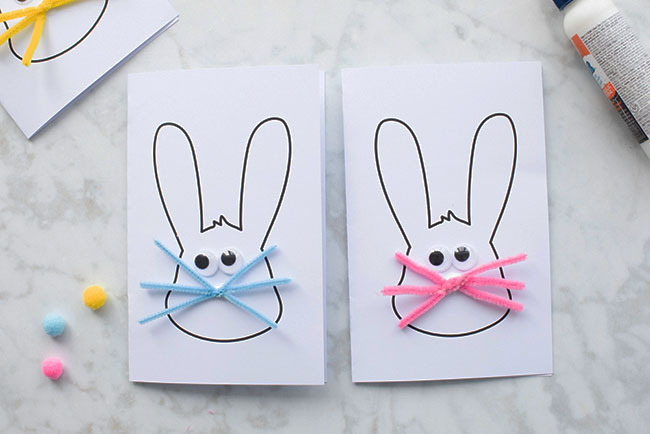 Glue the whiskers and googly eyes to the bunny face card template. 4. Glue your pom pom on top of the whiskers. 5. Draw a mouth on your bunny and then write your message inside! 1. 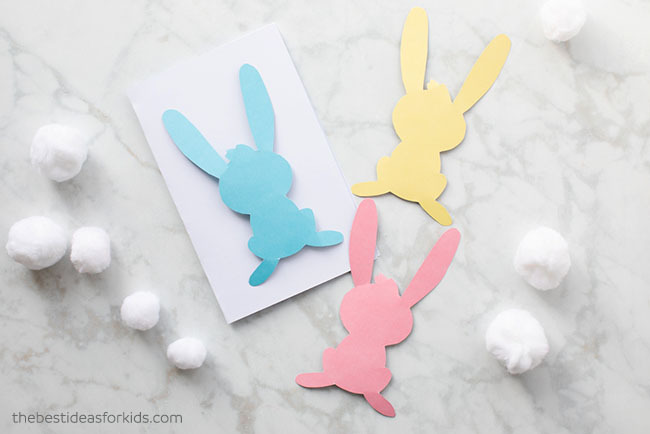 To make the silhouette bunny with pom poms, you’ll need to print off the template on colored cardstock. You can also print it off on white paper and trace around colored paper. 2. Fold a white piece of cardstock in half. 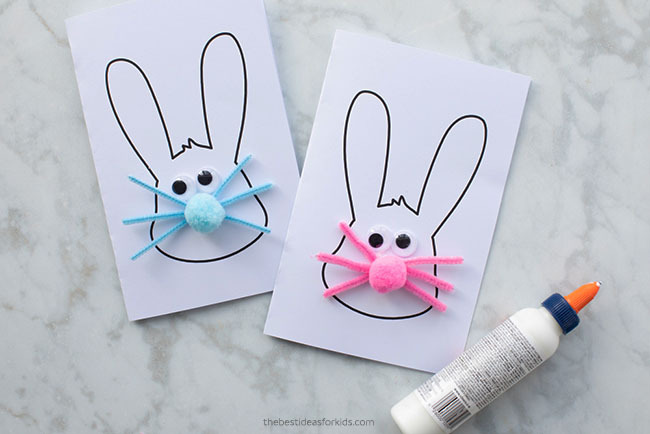 Glue the bunny silhouette to the front of the card. 3. 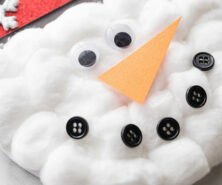 Now glue a pom pom onto the card. 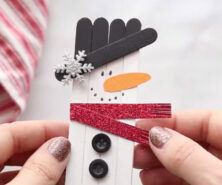 We love how simple these are to make. 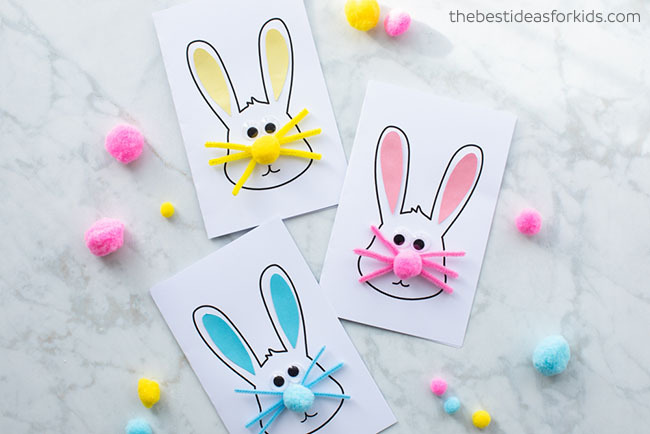 And kids will love making their own Easter bunny cards to give to their parents or grandparents. 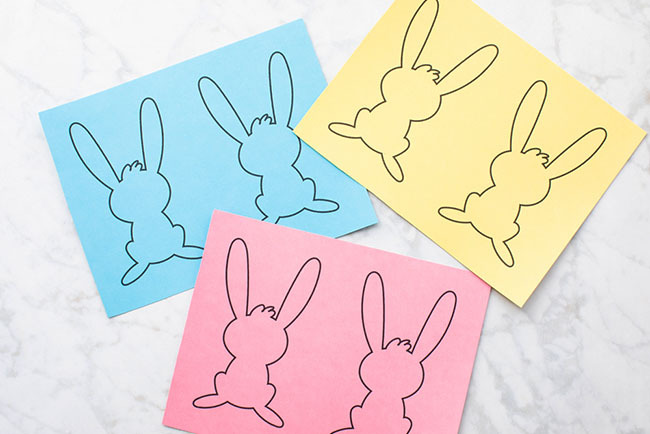 Sign up for our Newsletter and get these bunny card templates as a thank you! 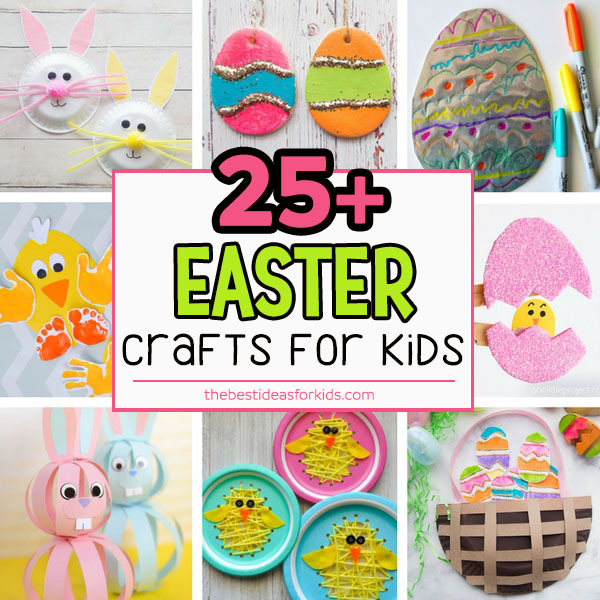 See 25+ Easter Crafts for Kids – there is something for everyone in this list! 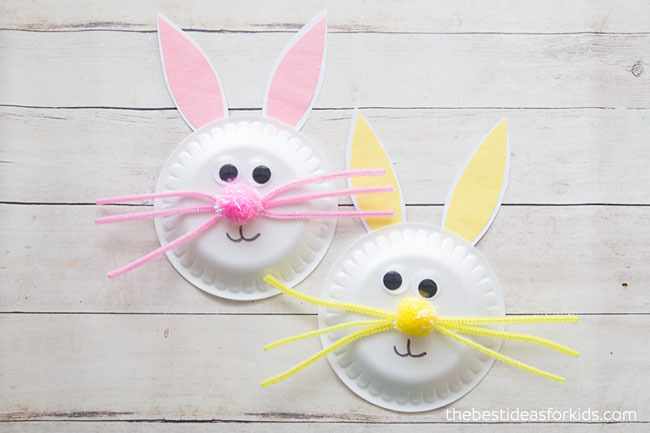 These bunny paper plates are so easy to make! 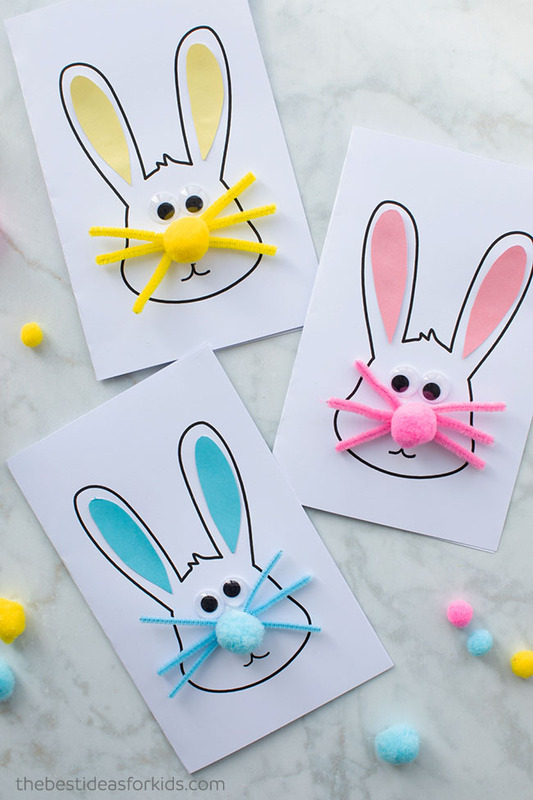 For another handprint Easter card, see these handprint bunny cards!